Desperate times call for desperate measures. I recently found out that a club at my school is essentially a hackerspace equipped with 3D printers so I could finally print enclosures for the PiPlanter and the DSFU. But that means I would need to finial the designs for both of them. I needed to find a way to interface with this thing here. So being the idiot that I am, I forgot a USB keyboard, I forgot an analog video cable, I forgot a monitor for the pi and forgot to update the Pi to the latest Raspian build. What I did bring was an Easy Cap Capture Card in addition to my standard idea-kit which among other things consists of an Arduino Micro, some buttons, some resistors, and wire. Essentially all I needed to do was connect the Pi to the EasyCap, and be able to send 4 different phrases to it over the keyboard. I needed to be able to send ‘pi’,’password’ (not my actual password), ‘ifconfig’ and enter. 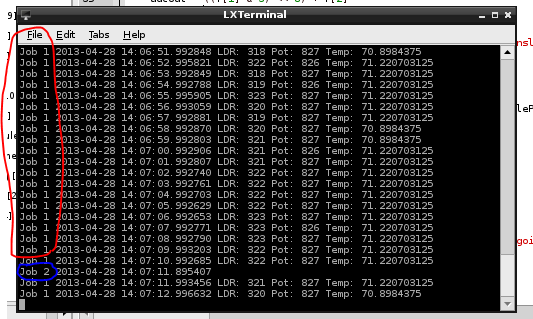 I realized that I could easily send this data to the Pi via the Micro as it has the Keyboard. functions built in. As you can see in the video it worked! And I’m kind of stunned that it did. I can now SSH into the Pi. This post is many months in the making and I am very proud of the thing’s I’ve done here, and very thankful to all of those (specifically at www.reddit.com/r/raspberry_pi) who have helped me along my way to getting this project up and running. This page contains every single post related to this project, please feel free to go back and look at my progression and pick up tips along the way if you want to try something like this. There are 8 parts to this system and, you guessed it, I’ll be going in-depth about every single one! They’re hooked up to the ADC (mentioned later) in the same way that the LDR is, with a voltage dividing resistor, and then fed directly into ADC. The principal behind this sensor is that when you insert it into soil, the water in that soil connected the two probes, causing a voltage to flow across them. So if there is more water in the soil, more electrons will flow across them, and the analog value will be higher. It’s very basic, but it works. I’ve done several long term tests, and over time, as the soil becomes dryer, the value gets lower, indicating relative dryness. 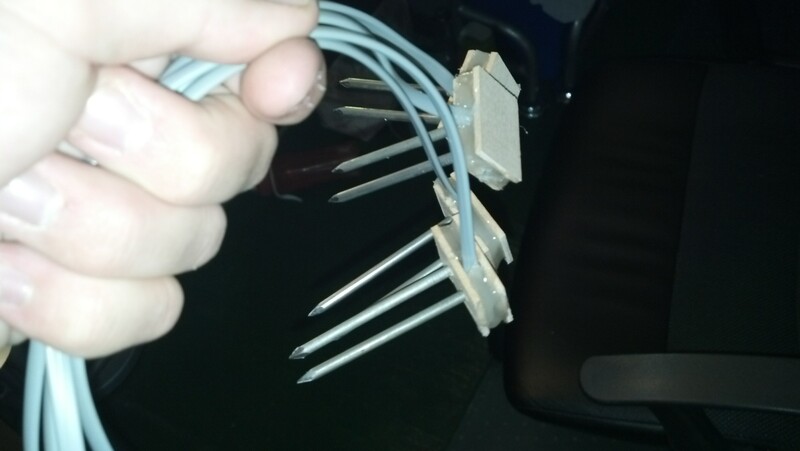 Here is a picture of the four probes in the soil, with the plants. The pump system is pretty dead simple. Essentially it is a PowerSwitch Tail II switching the mains to a 9v DC power supply. The 9v power supply is connected directly to a 12v DC submersible pump. Instead of using a motor driver chip, which requires 3 pins to do, and the chip would get hot and whatnot, I’ve decided to go with this method. So just use “readadc(n)” to get a value. I’ve made a real effort this time to comment my code well, so I’m not going to do a line by line breakdown like I often do, but I will clearly state the installs and setup things as follows. I’m assuming you have python-dev installed. Download and install: tweepy, you will need to go through the API setup process. Download and install: flickrapi, you will need to go through the API setup process. print "===== Starting Watering Process ====="
print "====== Watering Process Complete ====="
Pretty basic stuff, the table is just where the python script dumps the data every hour. This is data taken over 6 days, and it’s a lot to look at, but it’s good stuff. That’s essentially it! Thank you for reading, and please ask questions. I’m taking a “break” from my drone while I save some money to buy more tricopter parts, and since the weather’s getting nicer and nicer I’ve decided to start working on my PiPlanter again. 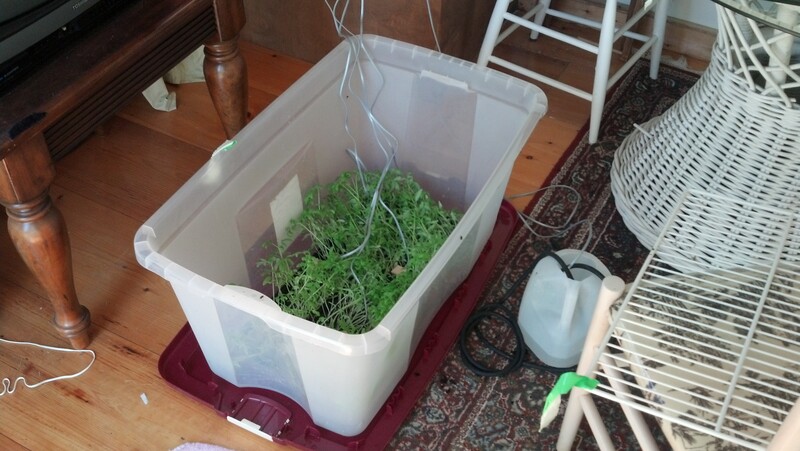 As a refresher, the PiPlanter is a Raspberry Pi powered garden. The goal is for it to just be able to be plugged in and add water to a water source and have the Pi monitor temp and moisture levels to be able to add more water as needed. 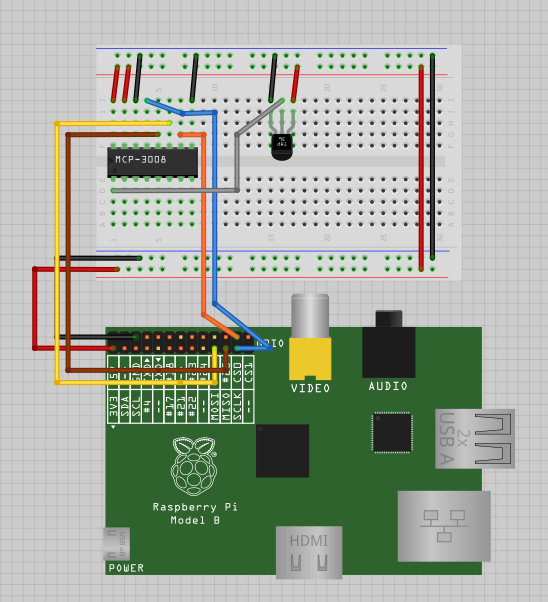 I’ve shown that is relatively easy to go from analog sensors to good looking tables and graphs using the raspberry pi, the problem that I ran into however was timing. It became harder and harder to use the time.sleep function in python to handle long periods of time. When you are dealing with things like plants, you don’t need to water it very often, but for data’s sake, you should be polling the sensors a lot. This produces a loop that flashed a green led on and of for .1 seconds at a time per second, and then every minute, turns on a speaker and a red led for 5 seconds then turns it off. There are some images of what goes on below. The second job (red led) just posts the time. But the function is expandable to do anything at any time. The next step is adding the mySQL in as seen in some other posts. Hello! as you can probably tell, my last post was written in a fury of incoherency, but I needed to get the code out there so it is what it is. 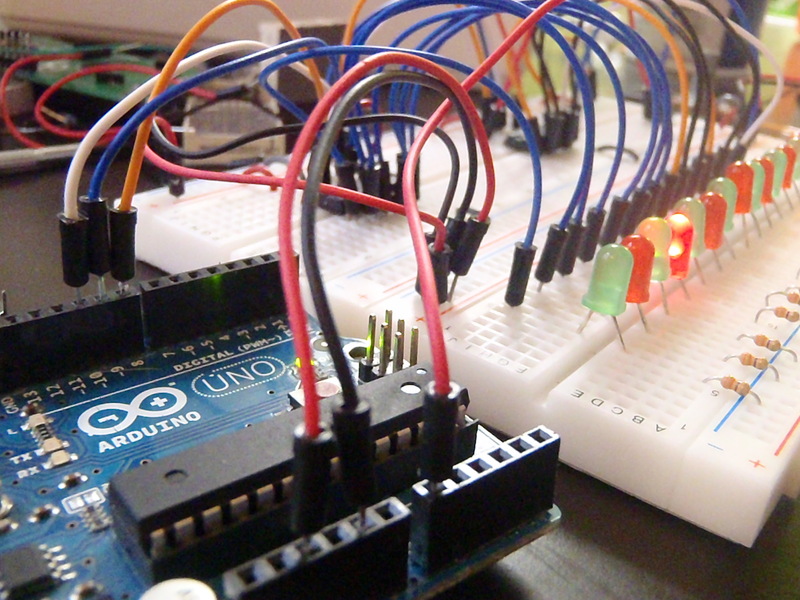 The main focus of this post is to showcase the arduino program. The visual basic in the video is very simple, and there will be much more on that later. 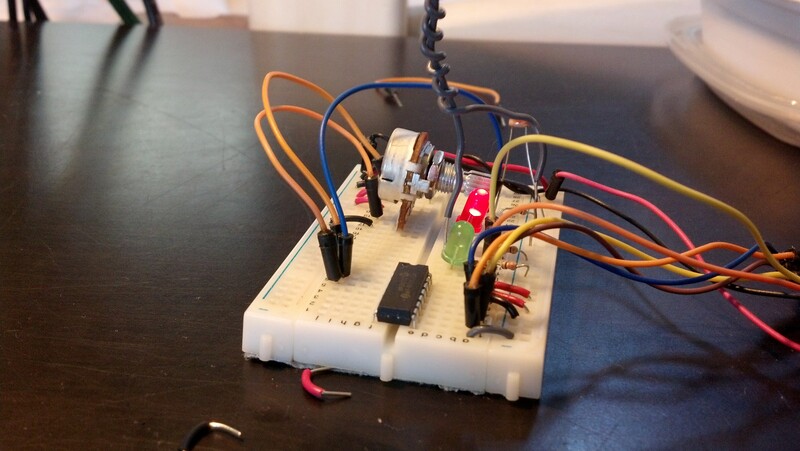 This below program will take a string of characters fed to the arduino and split them into usable parts. 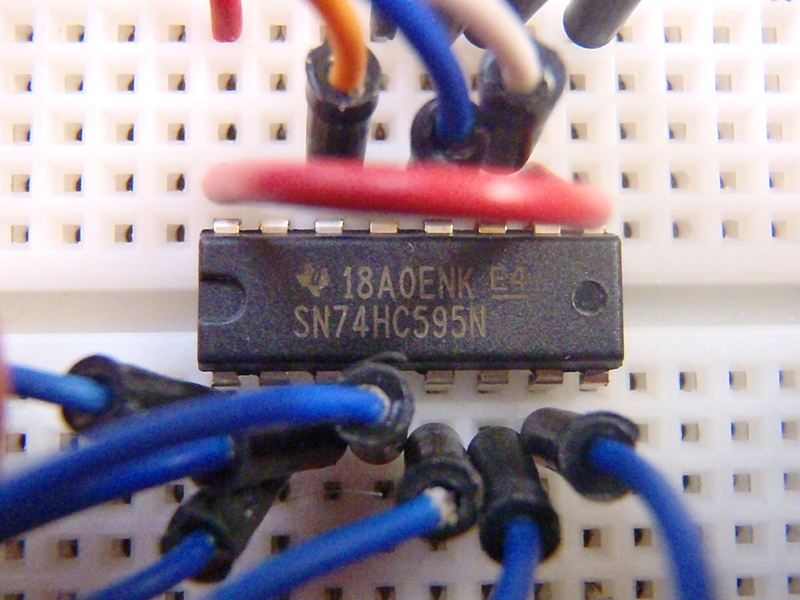 This is a very valuable tool for working with serial and arduino. It’s pretty well commented, but if you have any questions, PLEASE leave a comment. I’d love to see some conversation here. char serialbuf; //This gives the incoming serial some room. Change it if you want a longer incoming. #define MAX_STRING_LEN 20 // like 3 lines above, change as needed. LiquidCrystal lcd(7, 8, 9, 10, 11, 12); //pins for the lcd, I set it up using the ladyada tutorial. bufpos++; //once that has happend the buffer advances, doing this over and over again until the end of package marker is read. lcd.write(subStr(serialbuf, ",", 1)); //witres the first bit of content before the first comma (or other seperator) to the lcd. You could also do math or anything else with these. You could use atoi to change them to integers. // below is just function logic, which I do not fully understand. but it works. to the lcd, or the serial monitor if you tweaked the code. Now for the code in the video. The only different part about this is that it writes the two values to the servos. This is a round about way of using a servo to move an analog sensor to 3 points to triangulate the servo degree where the photocell experiences the most light. The servo sweeps back and forth and then another servo points to where the brightest point was. 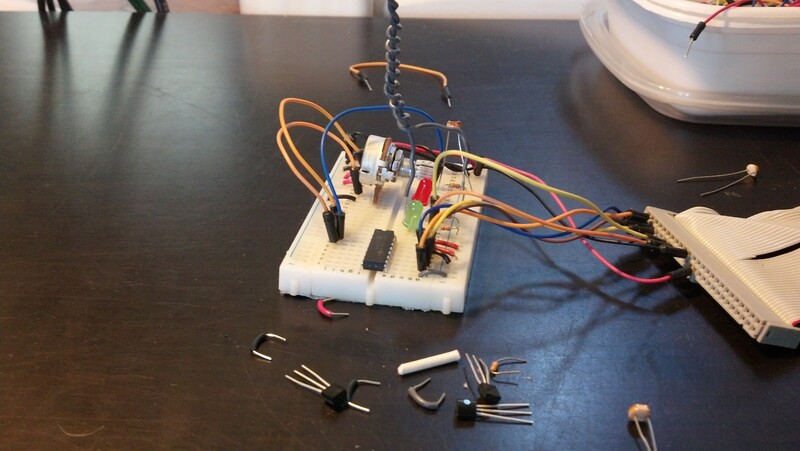 It is very simple wiring, but the code is a little fancy. It’s all commented up here, but as always deduction is your friend. Sorry I haven’t been posting in the last few weeks, I’ve been pretty busy with school / swimming. The Youtube video demonstrating the final product. As seen in the video above, I’m controlling 14 led’s using two of the 74hc595s and and 3 pins on an Arduino Uno. The program uses a for loop and cycles through the 14 pins on the registers. That code can be found here. Thanks for reading, check back soon for updates on the home automation project.